Cloud Computing is revolutionizing the internet-of-things by offering high availability of mobility & resources. This technology is the internet based computing, where the enterprise’s resources (storage or applications) are directly delivered to their servers through the internet. The impact of cloud computing service on enterprises to businesses is increasing the day-to-day operations with high level efficiency and command. As this service is adorned with plenty of benefits, so it is now regarded as one of the crucial success factors for enterprises. It also caters to the demand of providing the fastest, reliable, secure and most up-to-date systems. According to Economist Intelligence Unit, Cloud Computing Solution is going to change the future of Information Technology and Technology Management. In the recent report of EIU “cloud has already reached on the top of IT industry, with customer cloud services, such as Dropbox and Google Drive”. Similarly, according to the another survey, the findings suggest that while the cloud computing service is evolving as the modern-day computing, however, it has already started to change how the IT industry delivers value to its various clients. It is also considered as one of the top IT priorities. Almost two-third of the enterprises are using cloud computing services and agreed that it has the potential of becoming the key delivery model for computing by 2010. The benefit of cloud computing on the IT industry can be measured by addressing two questions. 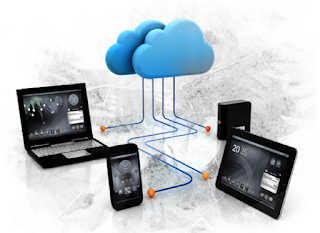 Ø How does cloud affect the IT enterprises in terms of customer delivery? Ø Why does cloud can have such an impact on the industry in general? In addressing the first question, cloud has the potential of impacting how business how businesses deliver value to its customers. The reason is because it provides the best experience of IT services that enables customers to purchase cloud services with less involvement of the IT department. This means that the enterprises must be vigilant in taking care of the user experience seriously. Every enterprise is using some type of cloud services: virtualization, system performance monitoring, data provisioning, or server automation. Additionally, there are some enterprises which utilizing cloud computing platforms such as Azure service, it helps to protect the data or apps. Thereby it is predicted that the cloud computing skills will grow at six times the overall IT skills throughout the globe. Thus the industry will be facing a persistent challenge for the availability of skilled IT workers. In response to the second question, the scalability & agility of cloud computing are exceptional. It not only enables businesses’ profit and productiveness, but also impacts its efficacy by making information readily accessible whenever it’s required. The cloud is capable of adapting to the changes in the rapidly evolving IT industry, by catering to choose from many different approaches for sourcing, deploying and operating custom cloud solutions. Information Technology tends to impact all the features of the modern lines, thereby the role of cloud computing being significant for it.